In Testimony whereof I have hereunto set my Hand and affixed my Seal of Office at Charleston the first day of March in the year of Our Lord One Thousand Eight Hundred and Twenty Seven and in the Fifty first year of the Independence of the United States of America. Sworn to before me this 7th March 1827. James Mackie NP. & QU. 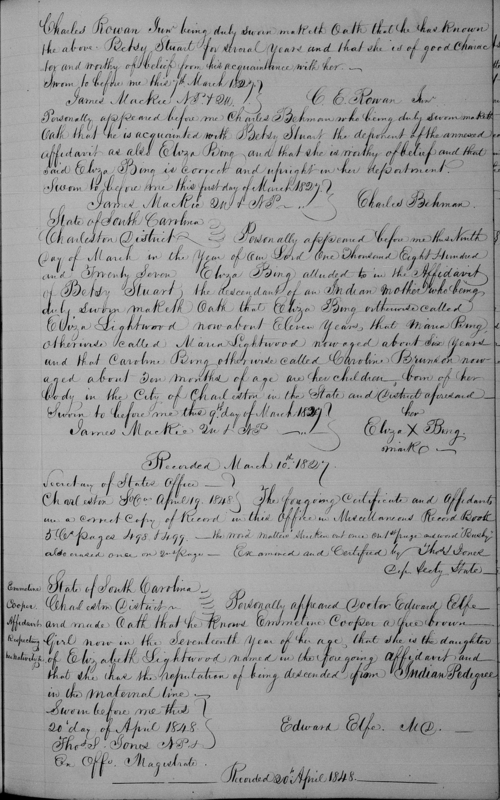 Personally appeared before me Charles Behman who being duly sworn maketh Oath that he is acquainted with Betsy Stuart the deponent of the annexed affidavit as also Eliza Bing and that she is worthy of belief and that said Eliza Bing is correct and upright in her deportment. 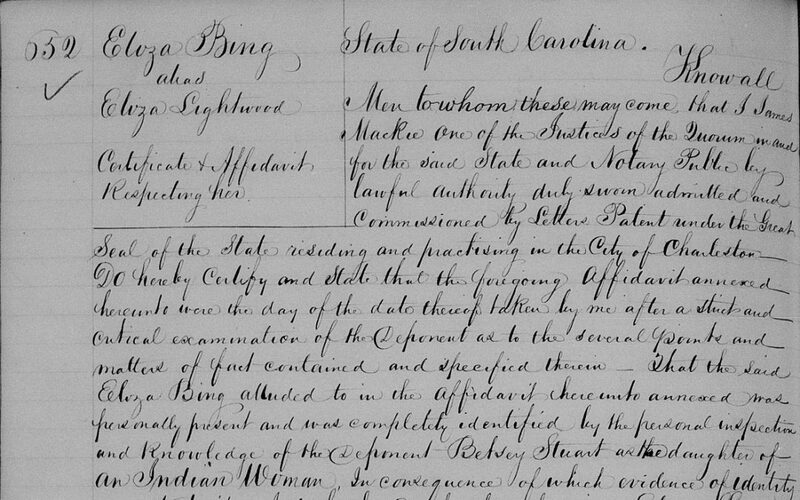 Sworn to before me this first day of March 1827. 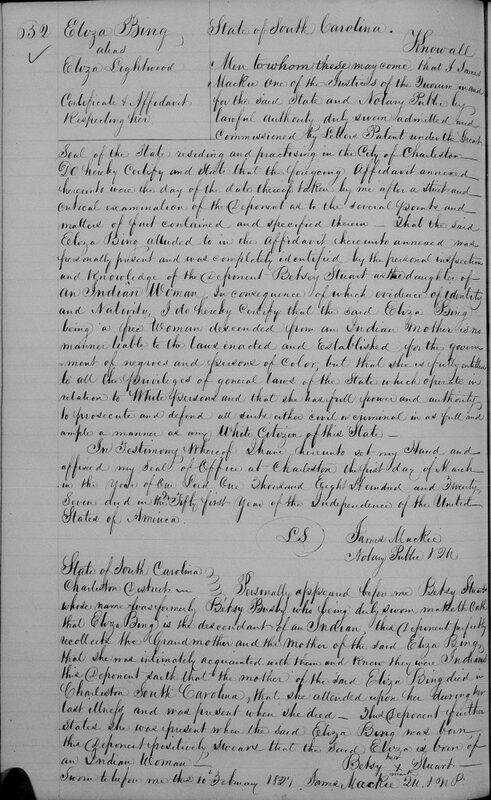 James Mackie QU & NP —..
 South Carolina, Secretary of State, Miscellaneous records, 1771-1868</span></a>, v. 6A-6B 1844-1849, Affidavit and Certificate Concerning the Freedom of Eliza Bing, aka Eliza Lightwood, <a href=” https://www.familysearch.org/ark:/61903/3:1:3Q9M-CSLV-2919-K?i=358&cat=476811” > </a>, frame 117 of 351, accessed 12 Sep 2017.